Four more Crawley drivers have been convicted of drink and drug-driving following the police’s summer crackdown. Police said Kai Young, a warehouseman, of Worth Road, was arrested in Ifield Road, Crawley, on June 18. The 30-year-old was charged with driving with 174mg of alcohol per 100ml of blood in his system, the legal limit is 80mg. Officers said he pleaded guilty at Crawley Magistrates’ Court on August 23 and was disqualified from driving for 20 months. He was also ordered to pay a £290 fine. Keval Ravalya, a shop worker, of Barley Close, was arrested in Smalls Mead, Crawley, on June 11. The 21-year-old was charged with driving with 115mg of alcohol per 100ml of blood in his system. Police said he pleaded guilty at Crawley Magistrates’ Court on August 23 and was disqualified from driving for 14 months. He was also ordered to pay a £350 fine, £85 costs and a £35 victim surcharge. Nick Duckett, a property developer, of Rusper Road, was arrested in Pinova Close, Crawley, on June 19. The 23-year-old was charged with driving with 2.6mcg of cannabis per litre of blood in his system. Officers said he pleaded guilty at Crawley Magistrates’ Court on August 23 and was disqualified from driving for 12 months. He was also ordered to pay a £120 fine, £85 costs and a £30 victim surcharge. Marius Zielinski, a warehouseman, of Highams Hill, was arrested in Pegler Way, Crawley, on June 28. The 34-year-old was charged with failing to provide a specimen for analysis, driving while disqualified and driving with no insurance. 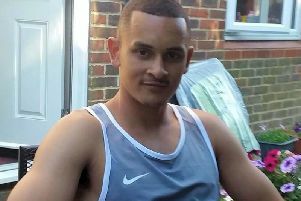 Police said he pleaded guilty at Horsham Magistrates’ Court on August 18 and was sentenced to 20 weeks in jail, suspended for 18 months. He was also disqualified from driving for 54 months, ordered to carry out 60 hours of unpaid work in the next 12 months, and ordered to pay a £115 victim surcharge. Sussex Police said more than half the motorists arrested during its summer crackdown on drink and drug-driving have been convicted. The force carried out a joint campaign with Surrey Police between June 6 and July 10, arresting 205 people. Of those arrested 127 have now been convicted and sentenced at court, officers said.